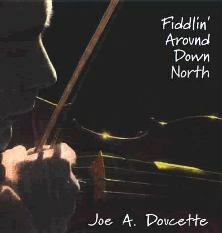 Joe Doucette is a fine dance player from Ingonish. On this his first recording, he is accompanied by Brenda Stubbert (piano) and Paul MacDonald (guitar). On a couple of cuts Jerry Holland joins in as 2nd fiddle Tune listing.